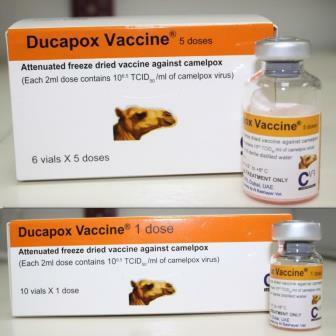 Over the years, CVRL has been very successful in producing vaccines to protect the avian population against Falconpox and Houbarapox, and the camel population against Camelpox. These vaccines have been distributed locally within the UAE on demand. 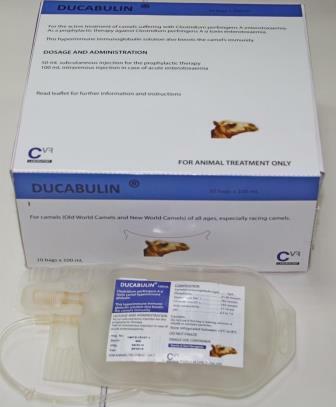 Since 2010, CVRL has been producing Clostridium perfringens A α toxin camel hyperimmune immunoglobulin (Ducabulin) as an active treatment for camels suffering with Clostridium perfringens A enterotoxaemia. This hyperimmune immunoglobulin solution acts as a prophylactic therapy against Clostridium perfringens A α toxin enterotoxaemia, and also boosts the camel’s immunity. 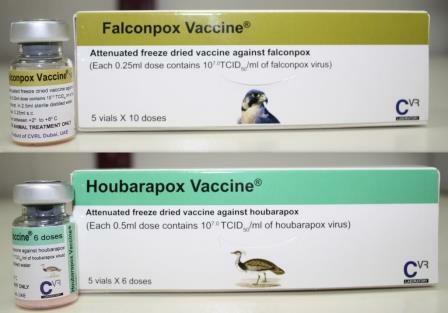 All of these vaccines (Falconpox, Houbarapox and Camelpox), along with Ducabulin, have now been approved and registered with the UAE Ministry of Health and with the UAE Ministry of Climate Change and Environment thereby authorizing CVRL to distribute them across the whole of the Middle East.